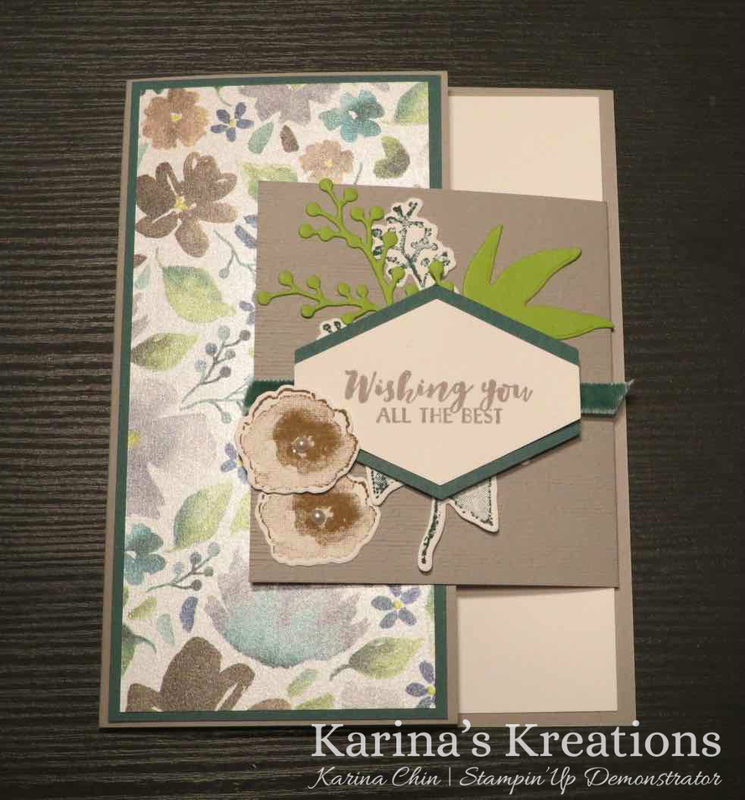 One of my favorite sets in the Holiday Catalog is the First Frost stamp set and gorgeous Frosted Floral Designer Series Paper. 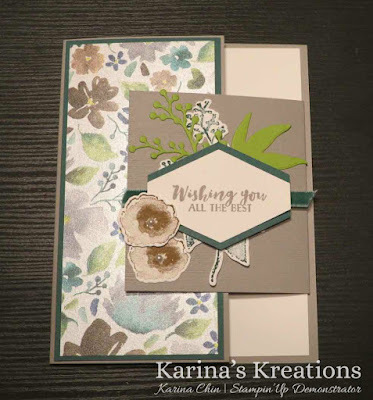 This card is based on a design by Terry Gaines. The flap is 3-1/4" x 3-1/4" scored on one side at 1/4". This is where I placed the tear and tape adhesive. The square was placed in the Subtle embossing folder and embossed with the Big Shot die cutting machine. To order supplies for this card, please click on a picture below.